Small shops and an array of bars and restaurants were located near the flat. The metro line 5 was a 5-minute walk away. We felt right at home and thoroughly recommend the apartment! The flat is really great. 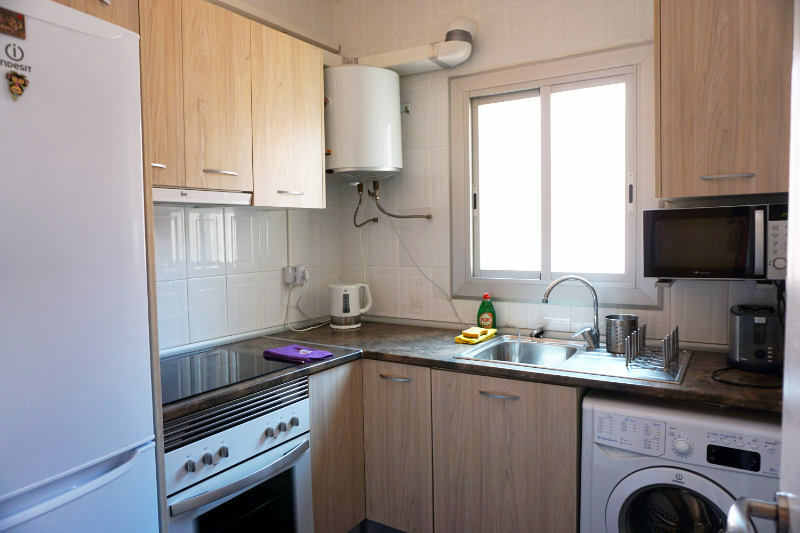 A fully equipped kitchen, a small and very clean bathroom, a cosy living room and a bedroom were waiting for us to move in after we had been welcomed by our hosts Arturo and Miguel. The best part was the rooftop terrace. A lot of plants and a little table, the view of the towers of the Sagrada Familia and sun from 11 in the morning until the evening – an absolute dream! The flat was thoughtfully decorated. The many plants and decorative elements around the flat made it feel like home. We felt very comfortable. I am a romantic so the bedroom was my kind of room to relax in. The bed was a bit narrow but more than enough for us. The colours in the room were exactly to my taste and the canopy bed made my heart beat faster. We started looking for a flat in Barcelona early on, right after we had decided to spend about three weeks there. That almost didn’t limit the number of results that came up in the search at all, so we set a maximum price to cut down the results at least a little bit. 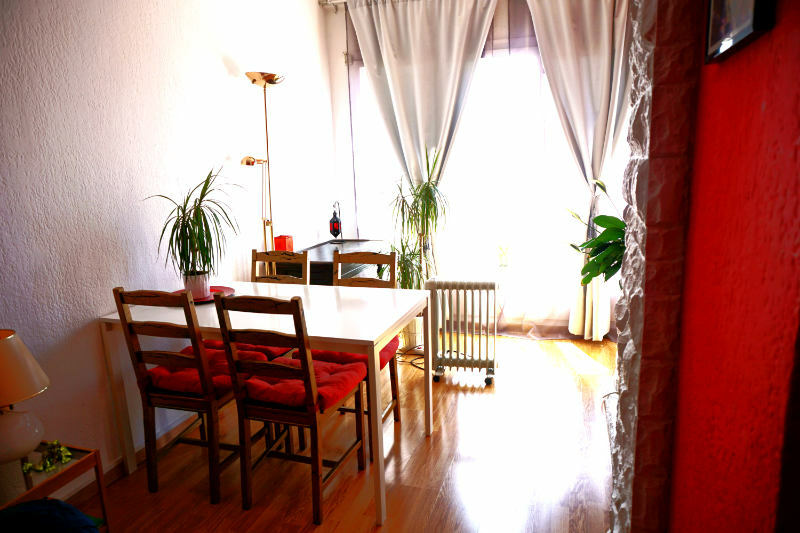 We contacted some of the hosts and finally picked Arturo’s flat. 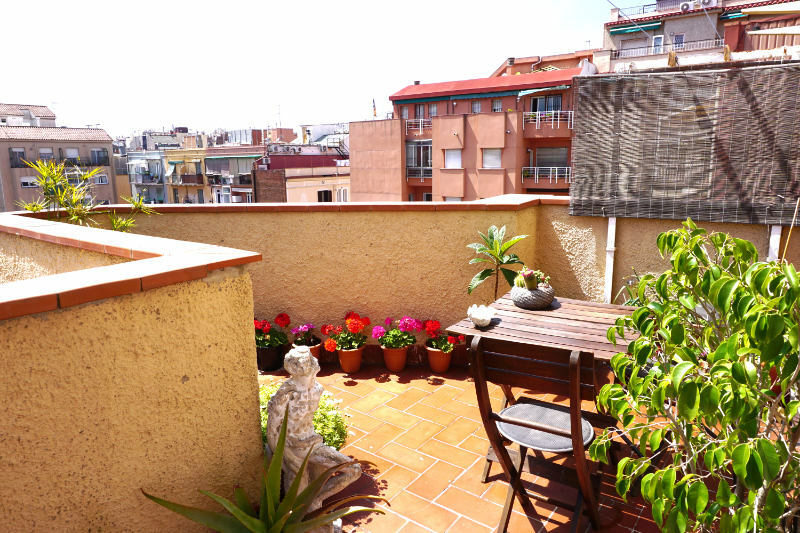 He had described his place as an „Apartment close to Sagrada Familia“. And he was right to do so. Not only did the rooftop terrace have a direct view of the Sagrada Familia, but walking there only took us 15 minutes! Thankfully, the apartment had an elevator – it was on the 7th floor!